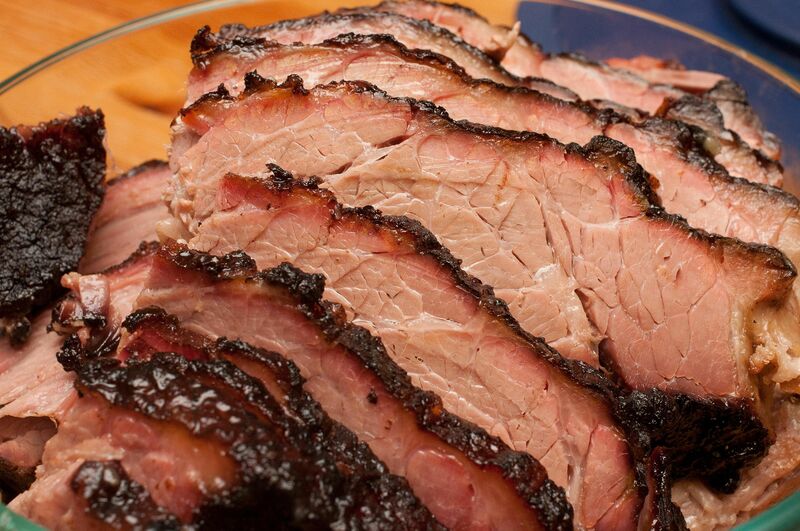 Traditional Texas Beef Brisket recipe that will help you get a great piece of smoked meat. This basic recipe gives you all you need to know to smoke a great brisket. From here you can learn to take your brisket to a whole new level. This delicious brisket is coated in a sweet rub and slow smoked to perfection. Of course, you can adjust the heat by using mild or hot chili powder and altering the amounts. If you like your brisket on the spicy side, then this recipe is for you! Serve this brisket with a good, spicy barbecue sauce. This brisket recipe calls for rub made of chipotle peppers. Just make sure that the peppers are finely ground before using. Walter Jetton cooked his Beef Brisket for President Johnson and whatever foreign leaders and dignitaries Lyndon brought home with him. This is his recipe. This barbecue beef brisket is not cooked in a smoker. It is braised in a black pot. Walter Jetton was one of the old style Texas barbecue cooks that didn't have a smoker. He cooked everything chuckwagon style on an open pit over a hardwood fire. This is a nice twist to a traditional brisket. This recipe calls for a sangria marinade and sauce that is sure to enhance an already delicious smoked brisket. This slow-cooker brisket recipe won't win any awards for being ​an authentic barbecue, but it will give you a very tender and flavorful brisket.